Here is the first heavy-hitter in the new-generation Chevrolet Camaro lineup, the 2017 ZL1, a replacement for the car of the same name that was unveiled in 2012. Where the old ZL1 only had 580 horsepower to play with, the 2017 edition uses the Corvette Z06's engine to produce 640 horsepower and 640 pound-feet of torque. You can choose between two transmissions, a six-speed manual or a ten-speed automatic. Yes, your read that right: the Camaro ZL1's automatic has two more gears than the unit found in the Corvette and about as many ratios as my first bicycle. 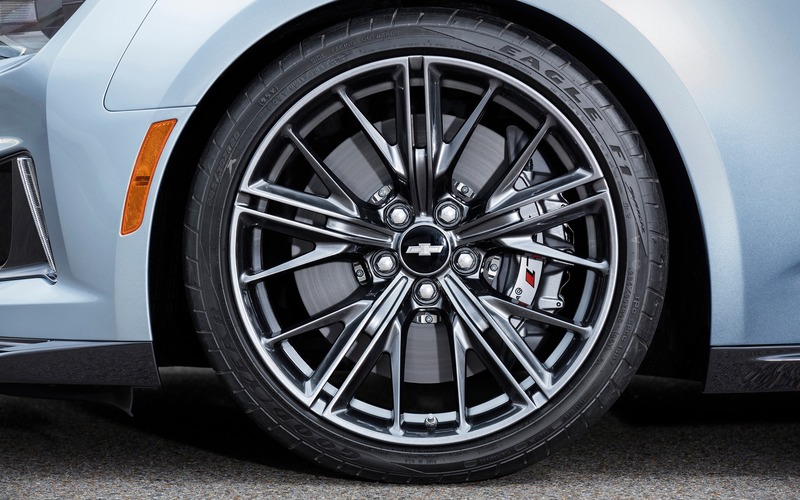 To send all this power to the ground, the ZL1 use a magnetic suspension and an electronically locking differential. Brembo brakes provide the stopping power. Visually, you'll recognize the ZL1 thanks to its large front splitter, low side skirts and unique 20-inch wheels. The mandatory ''flowtie'' - a hollowed-out Chevrolet logo that is supposedly critical to send air into the radiators - is also back. The important numbers, like performance and price, haven't been announced yet... We will have to try out this beast to know more!